Somebody forgot to tell Nvidia that summer is the time to kick up your heels and relax with an ice-cold mojito. The company has been on an utter tear the past couple of months, releasing brand new GeForce GTX 700-series cards almost like clockwork: The high-end GTX 780 launched at the end of May, while the surprisingly inexpensive GTX 770 reared its head a couple of weeks later. On Tuesday, Nvidia took the wraps off the GeForce GTX 760, a $250 mid-range card intended to replace last year’s GTX 660 Ti—not the GTX 660 as you might expect. So how does the GTX 760 stack up at $250? Judging by the specs and some intial benchmark reports, the so-called “sweet spot” of graphics cards pricing has never been sweeter. The GTX 760 rocks the same Kepler-based GK104 GPU found in all of last year’s GTX 600-series cards (as well as the GTX 770). Compared directly to the GTX 660 Ti, the GTX 760 looks a wee bit different under the shroud, with fewer CUDA cores, higher core clock speeds, and a 4GB memory option. That rejiggering comes at a power price, though: At 170W TDP, the GTX 760’s energy draw is 20W more than the GTX 660 Ti’s 150W. 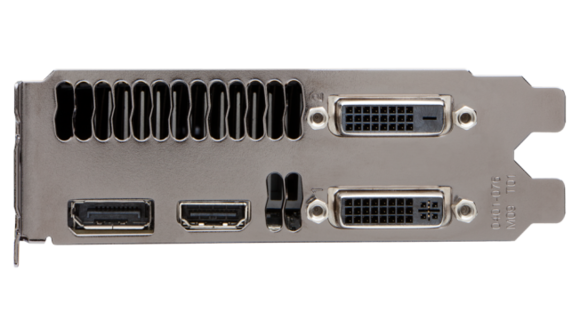 And yes, the card can output 4k video signals or rock out in a multi-card SLI rig. 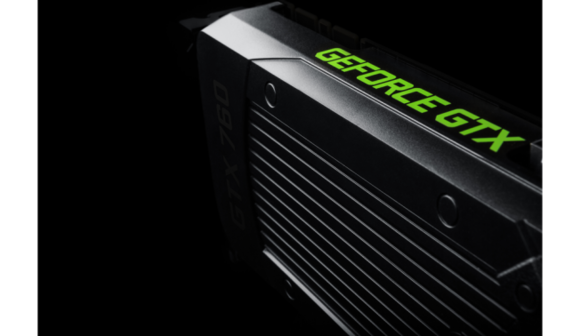 Along with the technical details, the GTX 760 also includes support for all the software you’d expect Nvidia to back, including Direct X 11.1, OpenGL, and Nvidia’s PhysX and 3D Vision technologies. You can catch the full list of GTX 760 technical details here. Whew! Those were a lot of numbers. How does all that technical mumbo-jumbo translate into real world performance? We haven’t had a chance to go hands-on with the GTX 760 here at PCWorld, but the graphics geeks over at enthusiast sites like AnandTech, Maximum PC, and HotHardware have. All-in-all, the GeForce GTX 760 looks to be a pretty decent card for the money, solidly outperforming the GTX 660 Ti and edging ahead of AMD’s $300 Radeon HD 7950 graphics card in many cases—most notably in games that were optimized to favor Nvidia’s hardware. The GTX 760 is far from revolutionary, but people with single-screen setups should find a lot to like in Nvidia’s new “sweet spot” graphics card, especially if said screen is at 1080p resolution. Don’t rush out to upgrade to the GTX 760 if you already have a GTX 600-series card, though: The new hardware’s incremental performance boost isn’t a must-have leap over its predecessors. 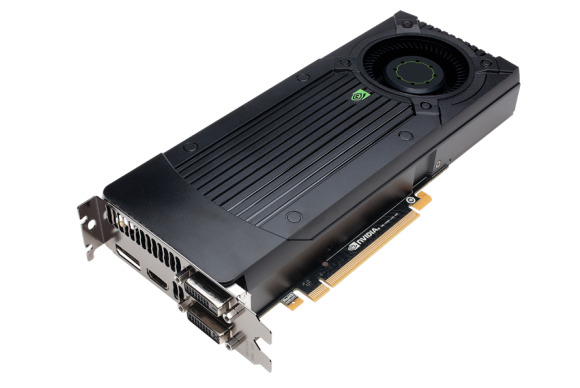 With the GTX 770 and the GTX 760, Nvidia has applied extreme pricing pressure on AMD, delivering visuals that are a wee bit better than comparable Radeon graphics cards—Radeon cards that cost more than the GeForce offerings. Then again, AMD has been banking on its “Never Settle” gaming bundles give its hardware a value-adding software edge. Is the tantalizing allure of free triple-A games like Tomb Raider, BioShock Infinite, Crysis 3, and Far Cry 3: Blood Dragon enough to offset the slightly better performance—and lower prices—of Nvidia’s GTX 770 and GTX 760? It’s a tough call, but fear not: You have plenty of time to make your decision. AMD’s next-gen hardware isn’t due until the end of the year, and Nvidia says the GTX 760 is the last GeForce graphics card on tap for the immediate future. That doesn’t mean Nvidia CEO Jen-Hsun Huang is reaching for that mojito quite yet, though. The company’s Shield gaming handheld is slated to launch in just a couple of days, complete with the ability to stream PC games from computers packing GeForce-brand GPUs.